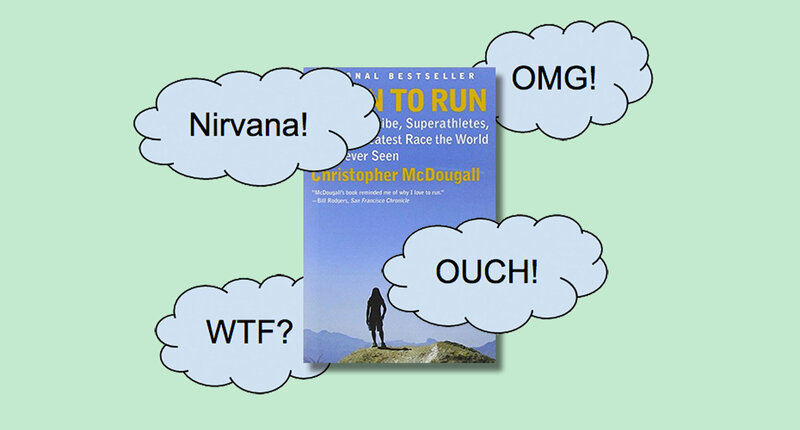 Born to Run by Chris McDougal, is an inspirational running book and a really fun read. 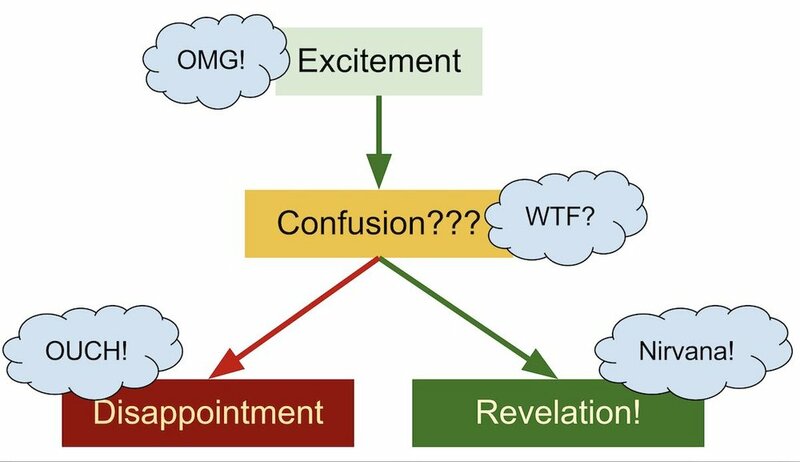 Every new runner who picks up the book and sprints through the same 3 phases: initial excitement, followed by confusion and then either disappointment or revelation. Every time I pass my copy of the book along to a newbie runner friend, I feel morally bound to include a reality checklist that will lead to happy revelations instead of disappointment so, instead. I made a 3 minute video and this blog post. So many runners get to the end of B2R, throw on their running shorts and leap out the door, leaving their running shoes lying in the hallway. There is no way that this scenario ends well. Save yourself a world of pain, frustration, confusion and disappointment by realizing that you were not born to run barefoot. Running barefoot is a training tool that helps to improve your running style and not a lifestyle. It’s a MEANS to an END, not the GOAL. Yes, there are some people in the world that never wear running shoes but it takes years to build up to running any real distance without shoes and it will NOT be a fun journey. When Chris McDougall wrote the original article that lead to Born To Run, the running shoe industry was completely wacked out. Almost all running shoes were built like high-heeled dress shoes and, like a lot of billion dollar industries, they were stuck in bizarre loop of trying to fix a problem using the same strategies that were causing the problem in the first place. Turns out that you probably don’t need so much padding under your heel. Maybe you aren’t a natural heel striker and your choice of shoes over the years has taught you to be one. 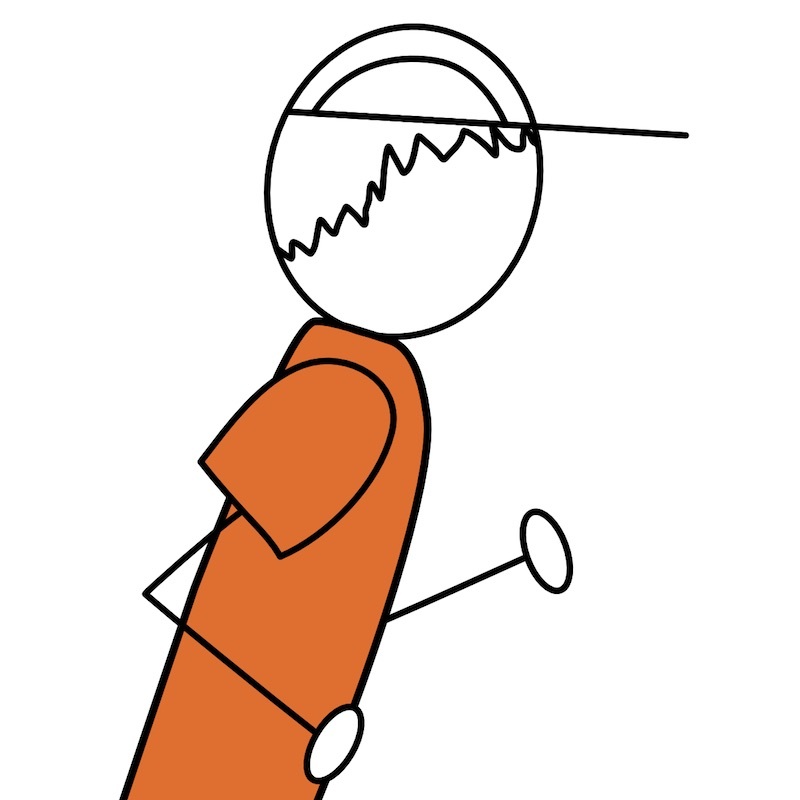 Maybe your feet, hips, knees and back hurt when you run because something is wrong between your feet and the ground. The problem wasn’t wearing shoes, it was wearing the wrong shoes. B2R made so many runners question the design of their running shoes that it caused a huge shift in the running shoe industry. It turns out that most people don’t need or want to run in those high-heeled shoe that filled the athletic store shelves, and since B2R, the industry has responded in a big way. New companies popped into existence overnight to serve B2R runners and the old giants eventually got a whiff of a new market. Now phrases like “stack height” and “zero drop” are commonly thrown around without mall shoes store monkeys giving you a blank look. Today you can now find shoes that fill every niche between zero cushion/zero drop to mega cushion/mega drop with every variation in between. We have choices now that didn’t exist back then and there is a shoe out there that your feet will love. Just don’t expect miracles from any shoe, especially a zero drop “barefoot” running trail shoe or a sandal made from an old tire. The other realization that a lot of runners or soon to be runners are floored by when they read B2R is that humans really can run long distances. Before the book, most people thought it was barely possible to run a marathon (26.2 miles/42k) and were stunned to find out that people run 50 miles, 100 miles, 200k and up without dropping dead. Ultra Marathons are now stylish and overbooked. The real takeaway is that the limit for how far and how long you can run (both in hours and age) is mostly set in your head. But don’t throw common sense out the window. If you want to run 50 miles (80.5k) a week or enter a 50k ultra marathon, you need to train for it. There isn’t a shortcut or magic pill and even the oddball characters that make Born To Run such a fun read have real mileage under their belts before they head out for a super long run. Build up your mileage in a smart way and you will not only feel like you were born to run for hours but you will keep running for decades. Webcomic 44 – Hi, Lucy!